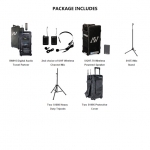 The Amplivox Platinum Travel Partner PA System gives you the power you need in a package you can transport. 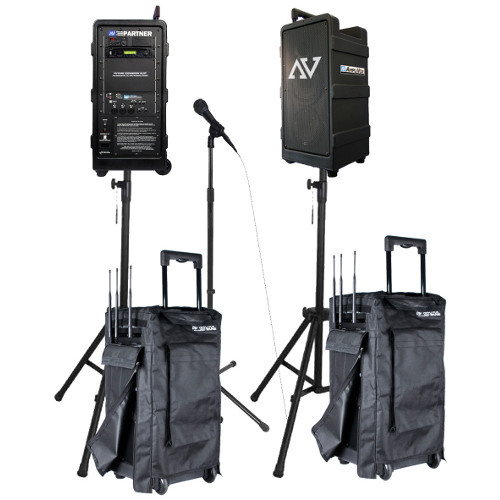 Integrated Circuitry Saves Battery Power So You Will Be Heard No Matter How Long Your Presentation, Performance or Demonstration. 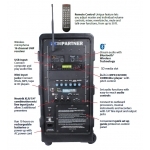 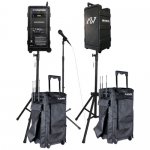 This all digital Portable PA System has been designed with Portability and Power in mind so your back won't be sore, and your voice will be heard. 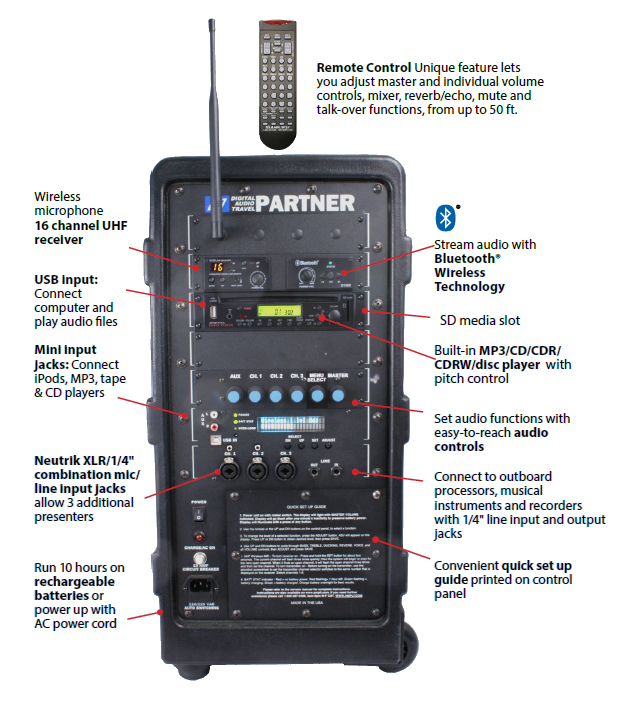 Combining the latest in speaker and amplifier technology the Digital Audio Travel Partner provides the best sound and the greatest features at the lightest possible weight.